The 2018 Exchange will provide the Chief Information Security Officer and leading executives with a three-day event on the forefront of protecting the cyber security of the enterprise as the frequency and sophistication of cyber attacks continues to increase and evolve. 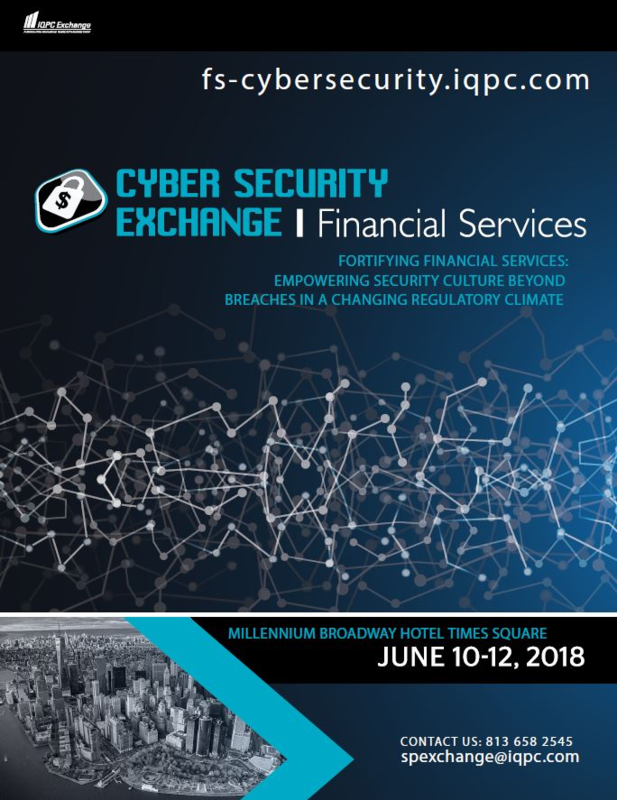 Unlike other events, the Cyber Security for Financial Services Exchange will offer cyber security leaders the opportunity to hear and discuss successful strategies in a true peer-to-peer networking forum while highlighting the latest technologies, strategies and processes to ensure security. Download to see our complete speaking faculty and interactive sessions.